A superbly presented and appointed Apartment, which occupies an elevated position boasting truly panoramic views from its front elevation across and beyond towards Valletta. The property comes in a block of only two situated on the second floor with the added benefit and rarely found in modern Apartments today is half own airspace, which has a large study/washroom leading to a barbecue terrace. 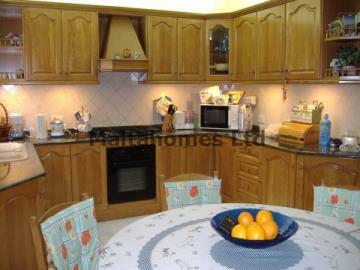 This property is presented in the very best of taste, being very well maintained by the present owners. Furthermore, a 2 car garage is available in close proximity to the property a price is available up negotiation.